What are the best interview clothes for your job interview in a less formal work environment? 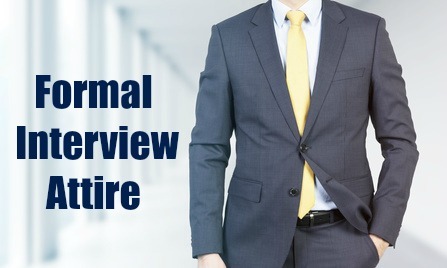 Overdressing for the job interview in a more relaxed company (commonly for retail, start-ups, tech, hospitality) can create an impression of stiffness and formality that does not fit in with the company culture. This can send the wrong message about your suitability for the job. It is essential to check out the company dress code before your job interview. You need to show that you can fit in with the culture of the organization. 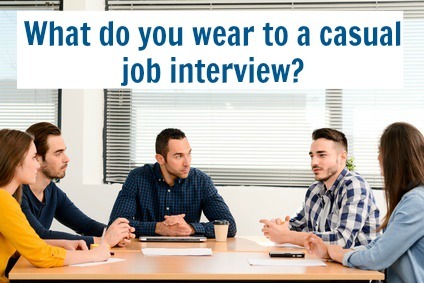 What do you wear to a casual interview? Even with a casual dress code you need to still appear professional. Avoid revealing necklines, short skirts, very high heels, transparent blouses, too tight clothes. These do not send a message of being casual but of trying to get the job based on the sexiness of your outfits rather than your skills. Conversely avoid too baggy or ill-fitting clothes as this just gives the impression of sloppiness. Wearing a formal suit may be inappropriate, try a jacket and pants that are of different material. Reflect a contemporary yet timeless look. Men do not need to wear a tie but a collar is essential. Choose a cotton long sleeved, buttoned shirt or a sports shirt. Team it with a pair of neat tailored, well-fitted slacks. Always take a jacket with you, you can put it on if you want to look more formal or leave it off to be more casual. When you know that the environment demands a truly casual look you can wear khakis, chinos and open-neck or short sleeve button down shirts. Accessorize with leather belts and smart shoes. Trainer or athletic-type shoes and sandals are just too casual for a job interview. The goal is still to look professional and polished in your interview. Can you wear jeans to a job interview? Even casual companies prefer that the candidate's interview dress indicates respect for the fact that they have an opportunity to interview for a position at the company. Scruffy jeans, sweats and baggy or ripped clothing is unacceptable. Your clothes should always be clean and pressed and fit properly. You are not going to a party or coffee with a friend, this is a job interview. Remember that casual does not equal trendy. Classic casual clothes are always the safe option when interviewing in a more relaxed environment. It is advisable to dress appropriately for your age. Trying to look much younger with a trendy outfit usually doesn't work. Professional-looking, classically casual clothes show that you are taking the interview process seriously and that you are in tune with the company culture. Disheveled-looking hair is also unacceptable - it looks messy and gives the impression of disorganization. Make sure your hair is neat and tidy. Avoid trendy, over-the-top hairstyles in the interview. Business casual wear includes pantsuits and tailored separates. 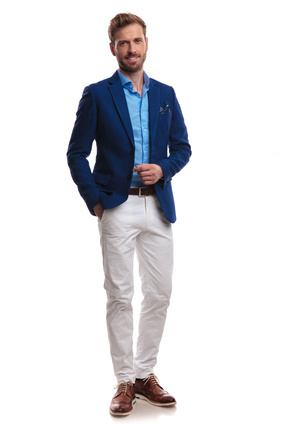 A blazer or jacket with a tailored pair of pants is a good option. Women can also try a knee length skirt with an understated blouse. A smart dress with a pair of pumps also conveys the message of professionalism. Cotton, silks and blends are good fabric choices, avoid shimmery-type fabrics. Shoes should be understated and practical. Very high stilettos, platform heels and big chunky shoes are inappropriate. You need to be able to walk comfortably in your shoes to give the impression of being confident and in control. Avoid very trendy or brightly-colored outfits. Your interview clothes should never take center stage, they should rather provide a discreet reflection of your understanding of the company dress code and your ability to fit in with the organizational image. 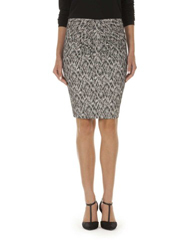 More advice and tips on interview attire for women. Different job types demand different interview clothes. Find out the proper job interview dress code for a variety of jobs. Employers are looking for committed professionals with the right values. Get practical tips on dressing for an interview in today's job market. Are you going for a job interview in a more conservative environment? 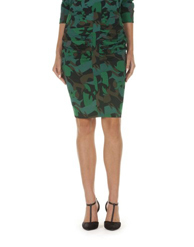 Are you on a tight budget with a limited working wardrobe? Use these interview clothing ideas on dressing properly for an interview without breaking the bank. Selecting the right interview clothes is only one essential part of your job interview preparation. 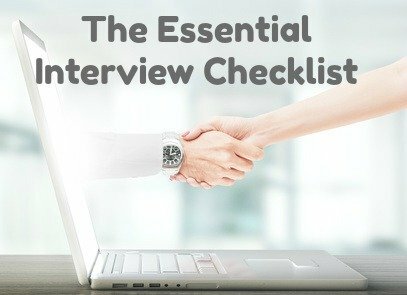 Use this checklist to make sure you have everything in place for your job interview.